Get ready for reading to become even more fun. 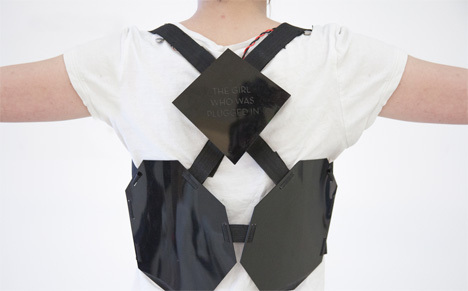 A student team at MIT’s Media Lab has developed a wearable book that lets readers feel the emotions and environmental stimuli that the characters in the book are feeling. Sensory Fiction is a setup that includes a sensor-covered book and a vest that you wear while reading. The book in the experiment is “The Girl Who Was Plugged In” by James Tiptree, Jr. The main character in the story experiences a wide variety of events and feelings, and MIT’s system lets the reader experience all of those things right along with the protagonist. 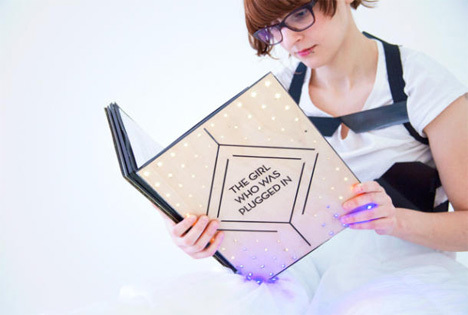 The sci-fi book contains LEDs that light up to create an ambiance appropriate for the current scene, setting the mood for whatever adventure is to follow. 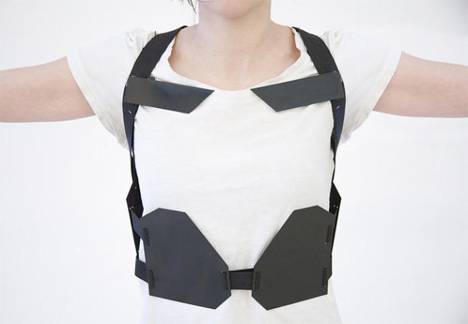 The wearable portion of the system has a heating system at the collarbone to convey changes in body temperature. The vest inflates and deflates to convey tension or relief, and a vibration system that can actually make your heart beat faster. In this way, the reader can feel the heat of the sun, the chest tightness of fear, and the heart-thumping effect of excitement. Literature purists will likely decry the idea – the purpose of a book, after all, is to draw the reader in with words rather than outside stimuli. But just as movies based on books introduce non-readers to classic works, maybe inventions like this will encourage people to experience reading – and that’s never a bad thing, even if they do need an inflatable vest to achieve it. See more in Cybernetics or under Technology. March, 2014.